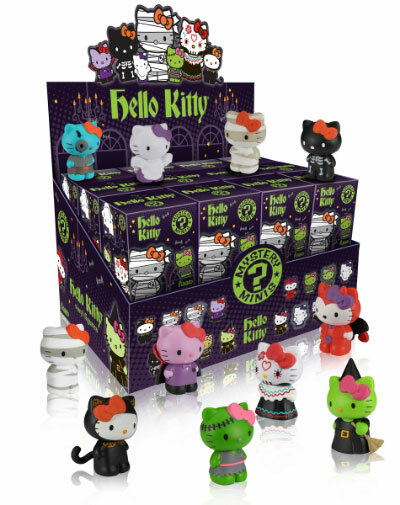 July 2013 - Funko has announced a new round of Mystery Minis; this time the 2.5-inch figures are Hello Kitty dressed up for Halloween. 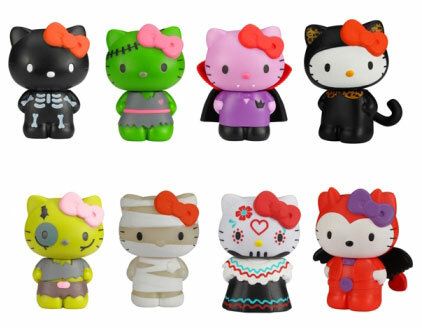 Expect to see these blind-boxed cuties in stores around August 8th. 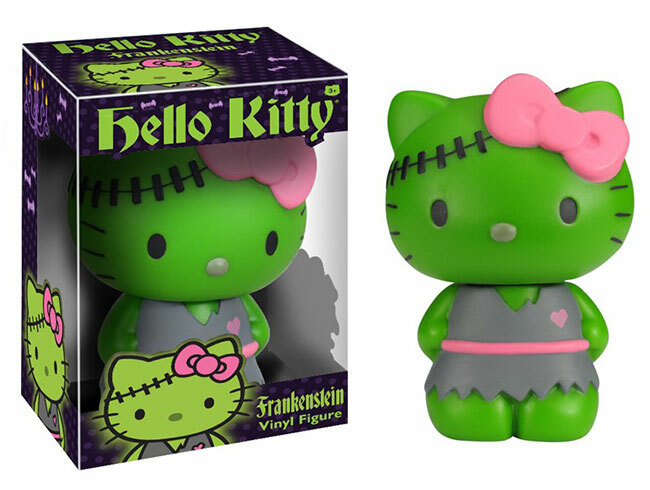 July 2013 - Funko has announced three new 5-inch vinyl figures of Hello Kitty dressed up as classic monsters: mummy, zombie, and Frankenstein. Expect to see this costumed trio in stores around August 8th. Los Angeles, CA – June 18, 2013 – Warner Bros. Consumer Products, in partnership with DC Entertainment, and Sanrio, creator of the global icon Hello Kitty, announced today they will be partnering to license a new brand collaboration that will feature Hello Kitty dressed up as her favorite DC Comics Super Heroes, including Wonder Woman, Superman and Batman. 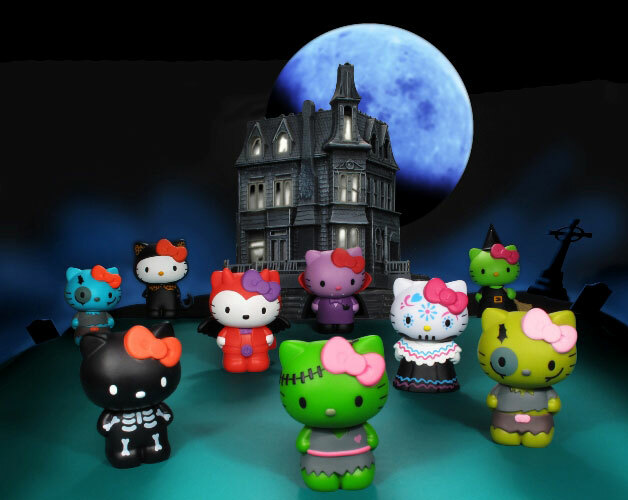 "Hello Kitty is an inspired choice for a momentous co-branding that will expand the reach and appeal of both DC Comics Super Heroes and Sanrio properties," said Brad Globe, president, Warner Bros. Consumer Products. 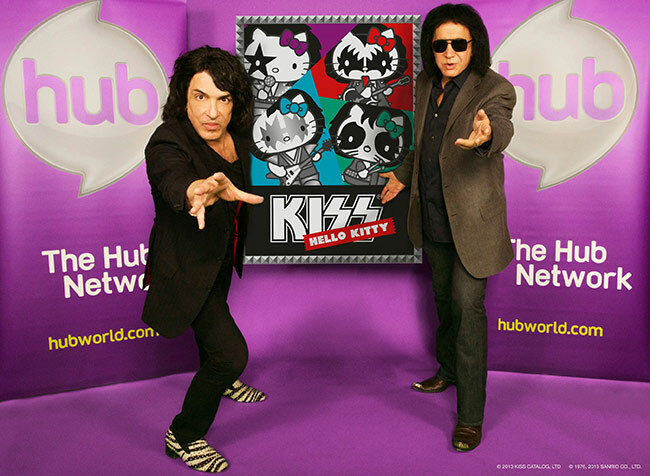 "This unique partnership joins two powerhouse brands that have a universal popularity across a variety of demographics and we know the collaboration will thrill fans of both properties." 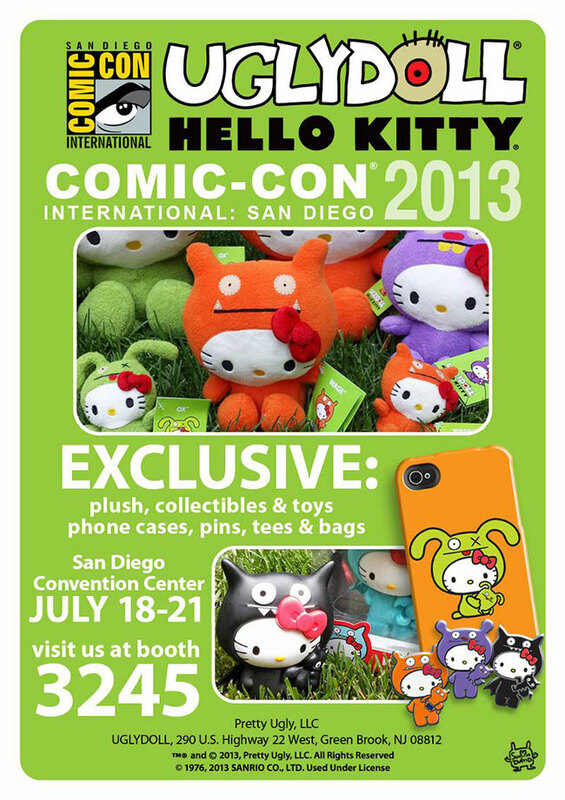 (Van Nuys, California – MAY 2013) - Toynami is pleased to announce the May launch and availability of the new STREET FIGHTER X SANRIO® SERIES 1 Plushes! 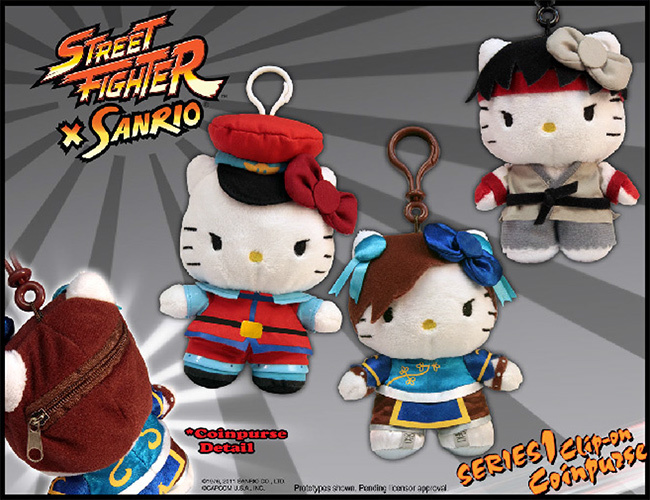 In conjunction with the historic marketing partnership between Sanrio and Capcom, Toynami presents the first of a full line of STREET FIGHTER X SANRIO® crossover products! 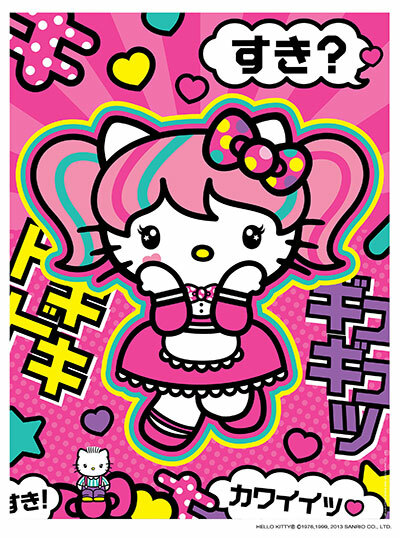 With STREET FIGHTER X SANRIO®, Toynami celebrates an epic genre and culture combination. 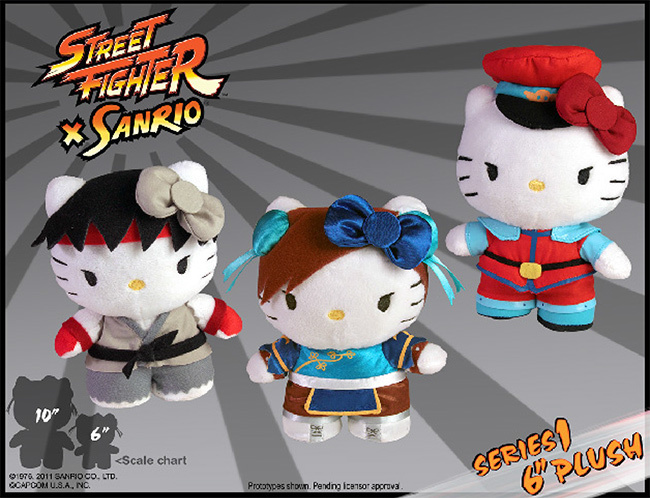 This first release of collectible plushes presents Hello Kitty as Chun-Li, Ryu, and M. Bison in 3 different sizes. 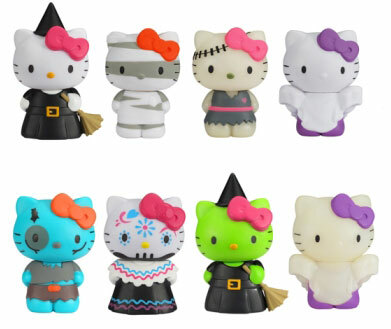 A 4-inch clip-on coin purse allows fans to take their favorite characters everywhere. The 6-inch mini plush is just the right size for your desk or car, and the 10-inch large plush is perfect for the most dedicated fans. 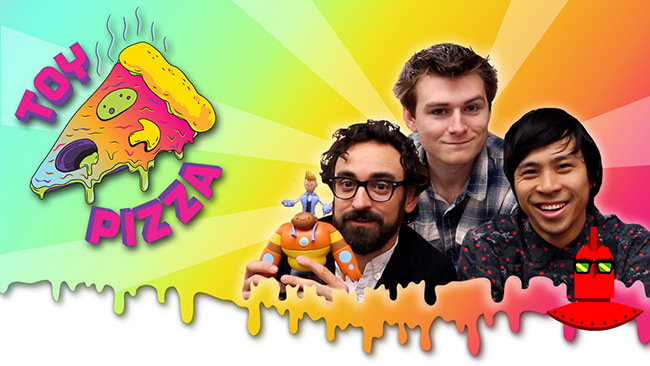 This SERIES 1 set is not to be missed! 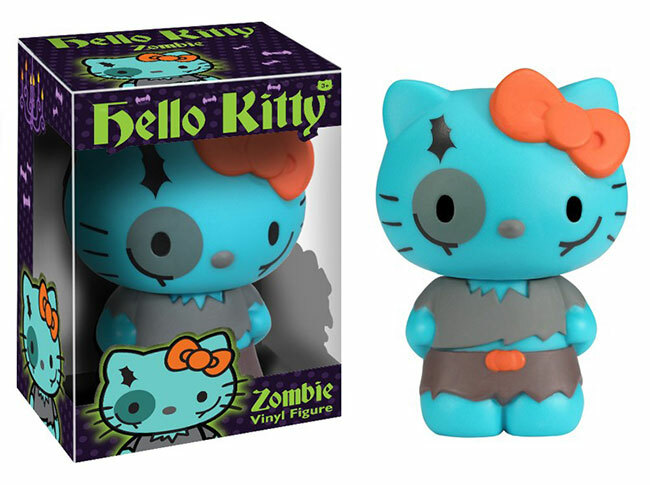 March 2013 - Funko has announced a new 3D POP! 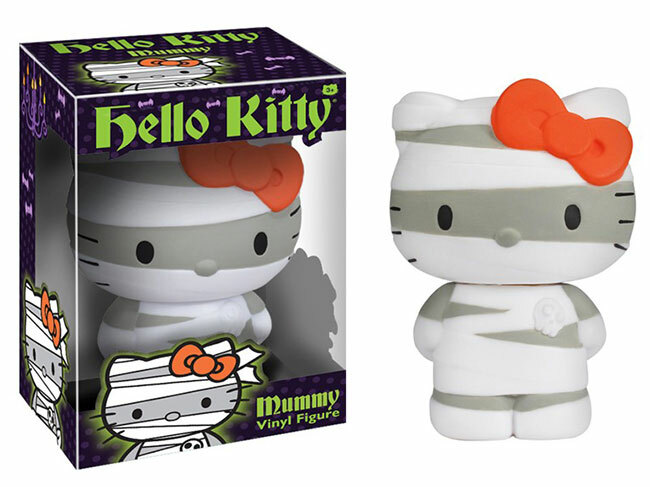 Vinyl Bookmark based on Hello Kitty. 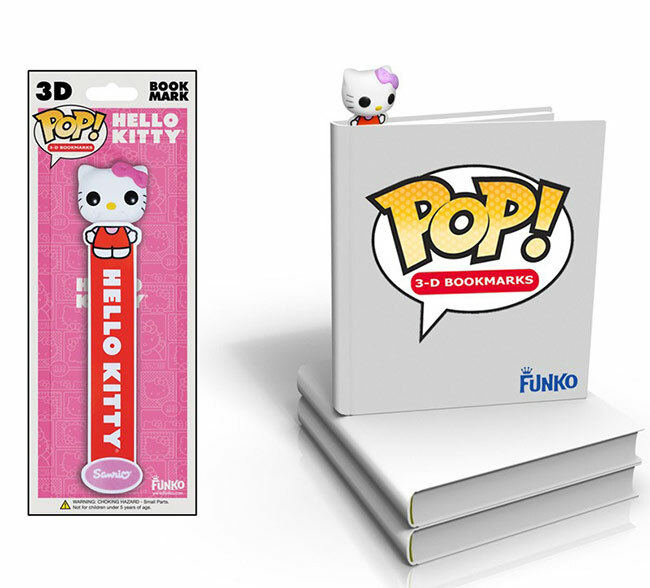 This bookmark should be in stores anytime now.